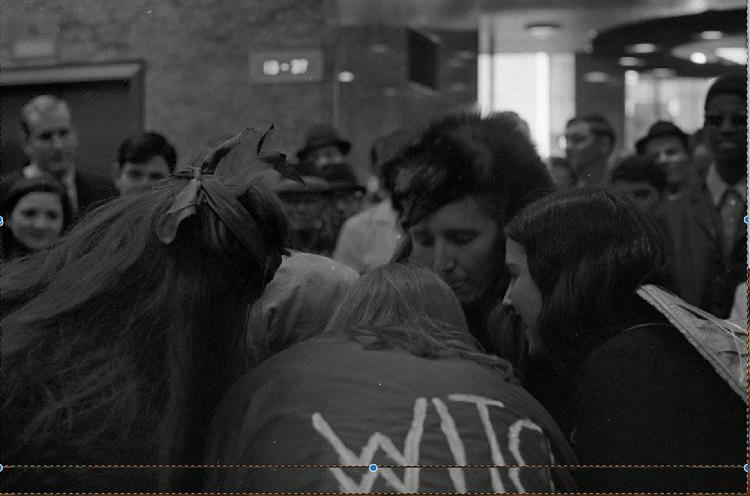 Today is October 31, 2018, and I thought I ought to, at the very least, do something to celebrate with the spirit of four of the band of witches who emerged from the underground to hex Wall Street 50 years ago. I'm not pausing to check the dates they died, but they did. I hope some readers will be interested enough to search the web. WEB: cyber, like spider, useful in W.I.T.C.H.craft. W.I.T.C.H. (Women In Time Changing History, as used here, but the letters may stand for anything else a merry band of 7 to 11 women -- never more than 13 nor less than 3 -- cook up to have fun doing some serious good that needs doing but best for many reasons the doers unknown) did not exist as such until after the 1968 Halloween Hexing of Wall St when some of the New York Radical Women dressed up like witches to raise consciousness about the web of connections no mere spider had spun. have to come back for that.